Celtron LOC Single Point, Aluminum NTEP 1:5000 Class III Single Cell. Similar to Tedea Huntleigh 1040 and Rice Lake RL1040. 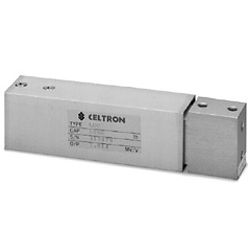 Celtron LOC load cells are typically a load cell that you can get quickly and are similar to popular load cells like the Tedea 1040. Celtron LOC Single Point, Aluminum NTEP 1:5000 Class III Single Cell. Similar to Tedea Huntleigh 1040 and Rice Lake RL1040.